Looney Tunes World Premiere at Annecy! It’s a World Premiere, Doc! Looney Tunes Cartoons is a series of new short form cartoons starring the iconic and beloved Looney Tunes characters. 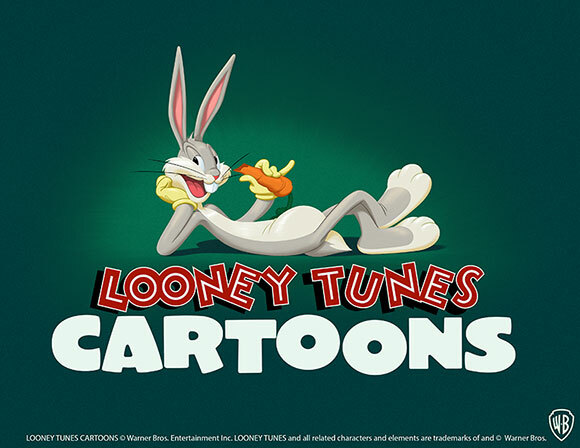 With a crew of some of the premiere artists working in animation today, each "season" will produce 1,000 minutes of all-new Looney Tunes animation that will be distributed across multiple platforms — including digital, mobile and broadcast. Looney Tunes Cartoons echoes the high production value and process of the original Looney Tunes theatrical shorts, with a cartoonist-driven approach to storytelling. Bugs Bunny, Daffy Duck, Porky Pig and other marquee Looney Tunes characters will be featured in their classic pairings in simple, gag-driven and visually vibrant stories. Each cartoon will vary from one to six minutes in length and, from the premise on through to the jokes, will be "written" and drawn by the cartoonists, allowing their own personality and style to come through in each cartoon. Thinking of applying for an accreditation? NB: No Press accreditations are issued on-site. In order to take into consideration the continual increase in requests, and to be able to continue to welcome you in the best possible conditions, Press accreditation applications must be completed before 31th May 2019. After this date no accreditation applications shall be accepted by the Press Office. Find all the Annecy Festival news on your favorite social network.